The Royal Navy handed out their last ration of ‘Navy Strength’ rum to the fleet in 1970. 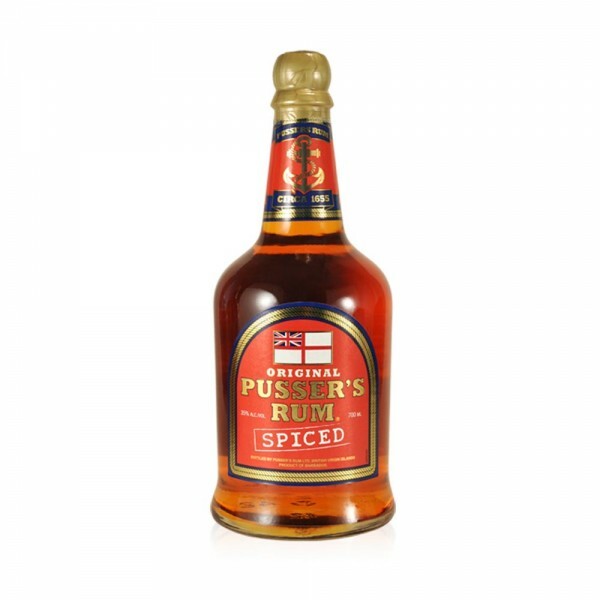 A decade later Pusser’s bought the rights to the recipe and has been making the original Navy Rum ever since. Pusser’s Rum is a blend of five stills located in Guyana and Trinidad. Each rum is hand-selected, according to specification, for its individual smoothness, flavour, and mellow depth. This excellent spiced rum is a rich, golden amber colour with heavy red highlights and a lively, aromatic nose. Enjoy notes of fresh culinary ginger, cinnamon, orange zest and baking spices with a very smooth and mellow finish.